HIDALGO — RGV Vipers coach Matt Brase summarized his team’s performance in a simple sentence when asked to come up with something positive. The visiting Reno Bighorns shot nearly 60 percent from the floor and ran to a 152-130 victory over the Vipers on Saturday at State Farm Arena. The Bighorns (10-10) dominated from the start, leading by as many as 11 points in the first quarter before the Vipers clawed their way back to within two at the half, 72-70. The loss was the Vipers’ fourth in the past five games as the team fell to 5-5 at home. They have a 10-3 record on the road. 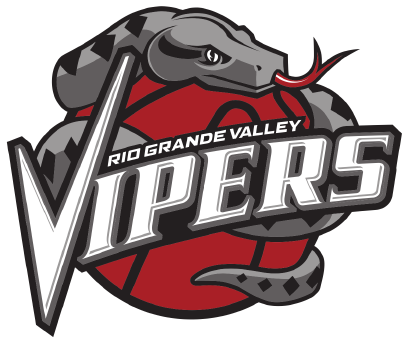 Prior to the recent 1-4 mark, the Vipers ran off 13 straight wins, which followed three losses to open the season. Reno’s 152 points were a season best, eclipsing the previous mark of 133 set Dec. 26. Marcus Williams led the Bighorns with 25 points, shooting 6 of 8 from 3-point land. Tony Wroten led the Vipers with 25 points. Wroten picked up three fouls in the first half and played just 25 minutes. RGV trailed by just two to start the third quarter, but Reno went on a 14-4 run to open the period and led 86-74 three minutes into the third. Later in the quarter, Tyler Lydon hit back-to-back 3-pointers to close the gap to 96-92, but the Vipers wouldn’t get any closer. Lydon had 15 points and 10 rebounds at the half and finished with 21 points and 16 rebounds, not getting as many looks in the second half. The Vipers were playing without Monte Morris, who was out with a wrist injury. Newly acquired Cleanthony Early, who scored 29 points in his Vipers debut on Dec. 26, was limited to 3-of-11 shooting and just nine points.